Where: Rome, Italy, at The Rome Cavalieri Hotel (Limited availability: discounted room block information will be provided in your ticket confirmation e-mail). 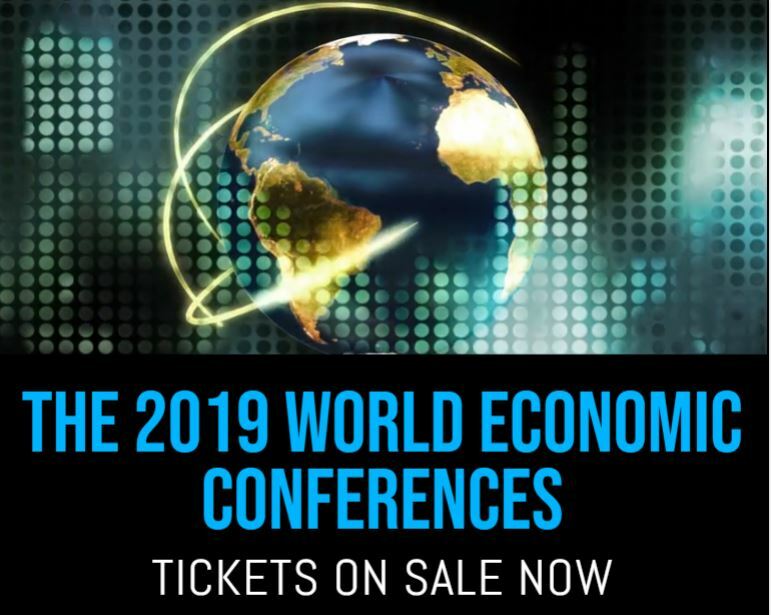 This is a rare opportunity to attend a World Economic Conference in an intimate setting. Seating is limited. Tickets include access to the full event and all relevant conference materials. Attendees will be provided with breakfast and lunch on both days of the event along with entrance to our networking cocktail party featuring passed h’orderves and an open bar. A full recording of the conference and PowerPoint presentations will also be provided shortly after the event. A discounted room block rate will be provided to all attendees as well on a first come, first served basis. Standard Admission: General admission includes access to the full event and all relevant conference materials. Attendees will be provided with breakfast and lunch on both days of the event along with entrance to our networking cocktail party featuring passed h’orderves and an open bar. A full recording of the conference and PowerPoint presentations will also be provided shortly after the event. A discounted room block rate will be provided to all attendees as well on a first come, first served basis. Orlando Priority: In addition to everything mentioned above, Priority ticket holders will receive early access to the conference room in Orlando (seating is on a first come, first served basis) as well as in-room registration (for those staying onsite at the Hilton Orlando Bonnet Creek). A 25% coupon for the Rome WEC video will also be provided. * Ticket option only Available for ORLANDO. VIP (people attending both conferences): Guests who attend both World Economic Conferences will receive additional perks when attending the events to further enhance their experience. See below details as VIP Perks vary per event. In Rome, VIP’s will have seats reserved in the first few rows of the conference room and be invited to attend an exclusive private cocktail party attended by Martin Armstrong.